Nick Douch, left, MD of Douch Family Funeral Directors and Dorne Hardyman, chief officer of East Dorset Citizens’ Advice. East Dorset Citizens Advice has a new website – thanks to Douch Family Funeral Directors which is sponsoring it. The online resource gives free information and advice on a number of subjects that residents find helpful. These include education and learning, healthcare, money and transport, and it also lists other groups and charities that offer assistance. The Wimborne-headquartered Citizens Advice is staffed by volunteers and relies entirely on donations. Douch Family Funeral Directors, as part of its community work, offered to sponsor the website as it knows from its own clients what a valuable service is offered. 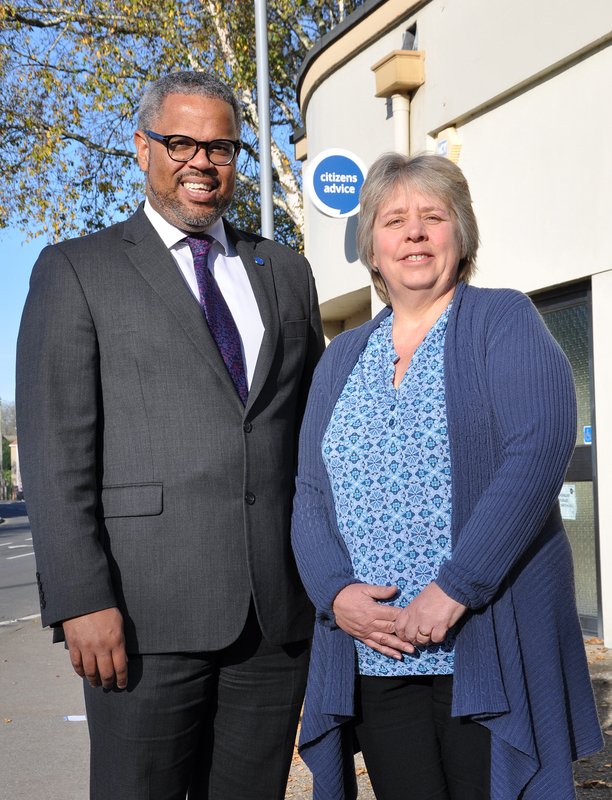 Nick Douch, MD of the funeral group which has three branches across East Dorset, said: “We know first-hand how helpful East Dorset Citizens Advice is. “The volunteers have a great deal of knowledge and experience and we regularly refer people to them for advice and information. Dorne Hardyman, chief officer of East Dorset Citizens Advice, said: “We’re extremely grateful to Douch Family Funeral Directors for sponsoring the website. “We receive no government funding so have to raise our own money and depend on donations – and it’s possible to donate to us on the new website. “We have 55 volunteers, but always need more so if anyone has any spare time we can train them and enable them to help others.